About 2.5 million Americans were living with a prosthetic hip in 2010. Hip replacement surgery is a viable option for people who suffer from limited mobility due to hip pain. There are numerous types of implants on the market, but some may be safer than others. Thousands of patients learned that the hard way after suffering severe, painful complications due to faulty devices. This article will help familiarize you with hip replacement surgery, the different types of hip implants, and which hip implants you may want to think twice about getting. The hip is the second largest weight-bearing joint in the body after the knee. Hip implants replace the parts of the hip joint that may become damaged over time due to various conditions or diseases. Hip implants help people with pain and limited mobility due to a damaged hip joint regain their quality of life. When talking about hip implants, it’s important to understand the anatomy of the hip joint. The hip is a ball-and-socket joint. A rounded protrusion at the top of the femur (the thighbone) forms the ball and a cup-shaped area in the pelvis, called the acetabulum, forms the socket. The ball fits into the socket and is held there with the help of ligaments and muscles. Thin tissue, called the synovial membrane, surrounds the hip joint inside the socket and provides lubrication for smooth movement. Femoral stem – A metal stem inserted into the thighbone that holds the ball joint in place. The femoral stem can be cemented into the bone or “press fit” to allow new bone growth to hold it in place. Femoral head – A metal or ceramic ball placed on the upper part of the femoral stem. The femoral head replaces the damaged femoral head that was removed. Acetabular component – A metal socket that replaces the damaged cartilage removed from the acetabulum. It is sometimes held in place using screws or cement. Liner – A plastic, metal or ceramic spacer inserted between the ball and socket to allow for a smooth gliding surface. What are hip implants made of? These categories refer to total hip replacement implants. In hip replacement surgery, both the femoral head cap and socket cup are made from metal. The orthopedic surgeon will help determine which implant is best for each patient. The surgeon will consider which implant offers the most benefit and least risk based on a patient’s age, weight, height, activity level and cause of hip pain. Recommendations for surgery are made based on a patient’s pain and disability; there is no absolute age or weight restriction for hip replacements. Even teens and young adults have undergone successful hip replacement surgeries. There are three types of hip replacement surgery (also called hip arthroplasty): total hip replacement, partial hip replacement and hip resurfacing. The type of surgery will depend on the extent of the damage to the patient’s hip joint. During total hip replacement surgery, the orthopedic surgeon removes the damaged bone and cartilage from the hip joint and replaces the head of the femur (the ball joint) and the acetabulum (the socket) with artificial parts. The head of the femur is replaced with an artificial ball that is fitted on top of a metal stem. The metal stem is inserted into the thigh bone and fixed in place with either cement or new bone ingrowth. A metal cup is placed in the socket which can be fixed in place with screws. Then a metal, plastic or ceramic liner is placed in the cup and the ball is fitted into the newly lined cup. During a partial hip replacement, patients are fitted with a new femoral head and the healthy socket joint is left intact. The surgeon removes the damaged ball joint and replaces it with ball and stem implant. The stem is inserted into the thigh bone, which can be cemented in place or allowed to be anchored by new bone growth, and the ball is secured on top of the stem. The artificial ball is then fitted inside the healthy socket joint. During hip resurfacing, surgeons do not remove the entire ball of the femoral head. Instead, they trim the head down and cap it with a metal covering. The damaged bone and cartilage is removed from the socket, like in traditional hip replacement surgery, and replaced with an artificial cup. Hip resurfacing may be easier to revise if the parts wear or loosen over time, can decrease the risk of hip dislocation and allows for a more normal walking pattern. However, there is a greater risk of femoral neck fracture and it is a more difficult operation compared to traditional hip replacement surgery. Hip replacement surgery is typically performed in a hospital. During hip replacement surgery, the patient is placed under general anesthesia (put to sleep) or spinal anesthesia (the lower half of the body is numb but the patient remains awake). The surgical procedure itself takes a few hours. The orthopedic surgeon makes a six- to eight-inch incision in the hip and removes the damaged cartilage and bone. The surgeon then inserts the implants in the same position to restore alignment and function of the hip. Recently, surgeons have started performing minimally invasive (sometimes called keyhole) hip replacement surgeries, which require smaller incisions and have a shorter recovery time. Candidates for this type of surgery are usually aged 50 or younger and have a normal body mass index. After the operation, the patient usually stays at the hospital for several days so doctors can monitor his or her recovery. Patients are allowed only limited movement immediately following the procedure. Patients usually stay in the hospital for about three to five days following their surgeries. During their stay in the hospital, patients are allowed limited movement. About one to two days after surgery, patients may be allowed to sit at the edge of the bed, stand or walk around the room with assistance. A physical therapist may teach patients exercises to help strengthen the hip muscles. The success of a patient’s surgery depends in large part on how well they follow their surgeon’s instructions for home care during the first few weeks after surgery. Wound care – Patients may have staples or stitches running along the wound which will be removed about two weeks after surgery. It is important to keep the area dry until it has fully sealed. Diet – Eating a balanced diet and drinking plenty of fluids can promote healing and help restore muscle strength following surgery. Your doctor may also recommend an iron supplement. Can my hip implant fail? Most implants will fail eventually. The lifespan of an implant is generally 15 to 20 years. How long a hip implant lasts typically depends on many factors, including a person’s physical health, activity level and weight. The material of the implant can also impact how long an implant will last. Metal and ceramic usually last longer than polyethylene in the body because they don’t wear down as quickly. While metal-on-metal hip implants have a relatively low potential wear rate overall, some brands proved to have much higher failure rates than expected. One example is the DePuy ASR Acetabular system, which was recalled in 2010. Data from the UK Joint Registry found that about 13 percent of patients implanted with the metal-on-metal device needed revision surgery within five years. Hip implant failure may require a revision surgery to replace the defective device. Regardless if you implant fails within three years of your initial surgery or 30 years, a revision surgery (or second surgery) is usually necessary to replace the failed implant. What other risks are associated with hip implants? Metal-on-metal (MoM) hip implants have come under scrutiny in the past decade after several recalls and an investigation by the Food and Drug Administration (FDA) uncovered some serious complications with the devices. Today, MoM implants are not used as much as they were in the past, but tens of thousands of Americans were implanted with MoM devices before their decline in popularity. All hip implants, regardless of the material, can be worn down due to everyday movement. Typically, hip implants last about 10 to 20 years, but some MoM implants have been shown to fail much earlier. One study released in the BMJ in 2012 indicated an average failure rate at seven years of 13.6 percent for MoM implants compared to 3.3 percent to 4.9 percent for implants made from other materials. This means the need for earlier revisions is higher in MoM implants. As implants wear down, particles from the implant material are released and can settle in and around the joint. Particles from MoM implants, namely chromium and cobalt ions, can damage surrounding tissues and bone and enter the blood stream. This can lead to complications known as Adverse Local Tissue Reaction (ATLR) and Metallosis (metal toxicity). The tissue damage associated with ATLR can cause necrosis – the death of most or all of the cells in the tissue – as well as the accumulation of lymph cells. Metallosis is caused by the buildup of metal debris in the soft tissues of the body, even those outside of the joint area. It is estimated that five percent of patients who were implanted with any type of metal joint developed Metallosis over the past 40 years. Both ATLR and Metallosis can lead to pain, implant loosening and failure and the need for revision surgery. The FDA recommended doctors monitor patients who experienced pain or swelling near the hip, a change in walking ability or noise from hip joint after three months of receiving their MoM implant. Have any hip implants been recalled? Yes, several hip implants have been recalled in the past decade. In July 2008, Indiana-based Zimmer Inc. (now Zimmer Biomet), one of the leading medical device manufacturers in the world, recalled its Durom acetabular (socket) component because the instructions for use and surgical techniques were inadequate. Three metal-on-metal hip implants were recalled between 2010 and 2012 due to their increased failure rates and other adverse effects. In 2010, Johnson & Johnson’s subsidiary DePuy recalled its ASR acetabular system. According to the FDA, new and unpublished data from the UK Joint Registry found that about 13 percent of patients implanted with the device needed revision surgery within five years. Also in 2012, Stryker Corporation recalled two of its hip systems, Rejuvenate and ABG II. The recall was initiated due to the systems’ potential for corroding which could lead to serious adverse effects. DePuy announced in 2013 that it would stop selling its Pinnacle metal-on-metal hip implants, following increased scrutiny by the FDA. Though it stopped selling the device, the company never issued a formal recall of the implants. Are there lawsuits against the makers of metal-on-metal hip implants? Several hip implant manufacturers are facing lawsuits from patients who say they suffered complications as a result of their devices. 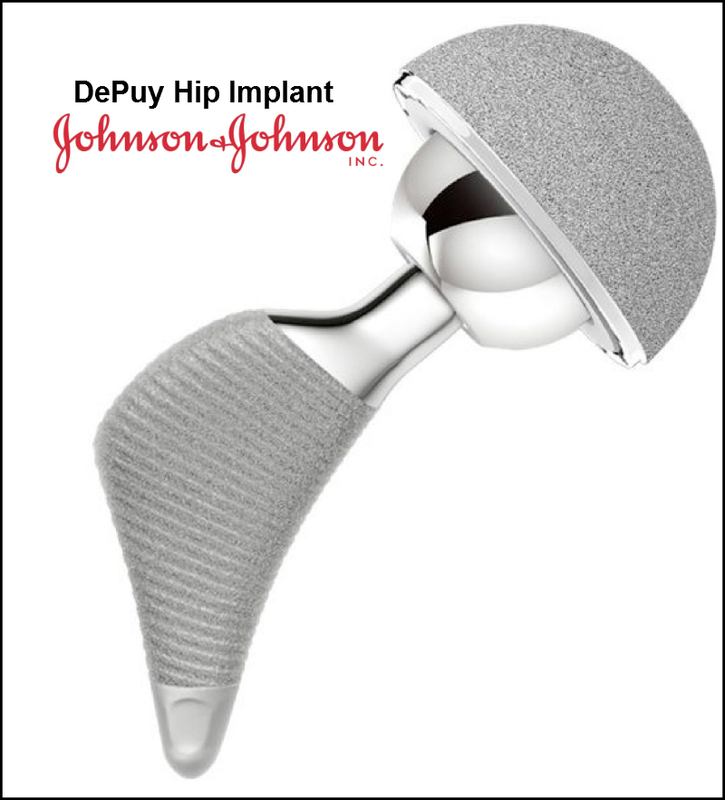 Currently, Johnson & Johnson subsidiary DePuy faces thousands of lawsuits for its Pinnacle and ASR hip implant systems. These lawsuits have been consolidated into multidistrict litigation (MDL) in federal court. Roughly 8,350 lawsuits are pending in the U.S. District Court for the Northern District of Texas against DePuy’s Pinnacle implant; about 2,360 lawsuits are pending in the U.S. District Court for the Northern District of Ohio against DePuy’s ASR hip implant. Wright Medical Technology Inc. faces roughly 550 lawsuits pending in the U.S. District Court for the Northern District of Georgia against its Conserve hip implant. Have there been any settlements of hip implant lawsuits? Yes. Several major manufacturers of hip implants have already settled thousands of lawsuits filed by patients who say they were harmed by the devices. In 2013, Johnson & Johnson’s subsidiary DePuy agreed to pay $2.5 billion to settle about 7,500 lawsuits against its ASR hip implant. 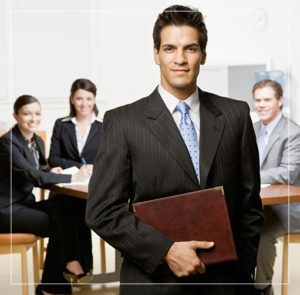 At the time the company settled, it faced nearly 12,000 suits. In 2015, DePuy was ordered to pay $502 million to five plaintiffs who suffered complications from the Pinnacle implant. I suffered complications due to my metal-on-metal hip implant. Can I file a lawsuit? Thousands of people who were harmed after being implanted with a metal-on-metal device filed lawsuits against the manufacturers. These people allege the companies made defective products and failed to warn the public about their risks. If you or someone you love received a metal-on-metal hip implant and suffered as a result, you may be entitled to compensation but you need to take action now. Call National Injury Help today at 1-800-214-1010 for a free case evaluation, or use the form on the right-hand side of your screen.